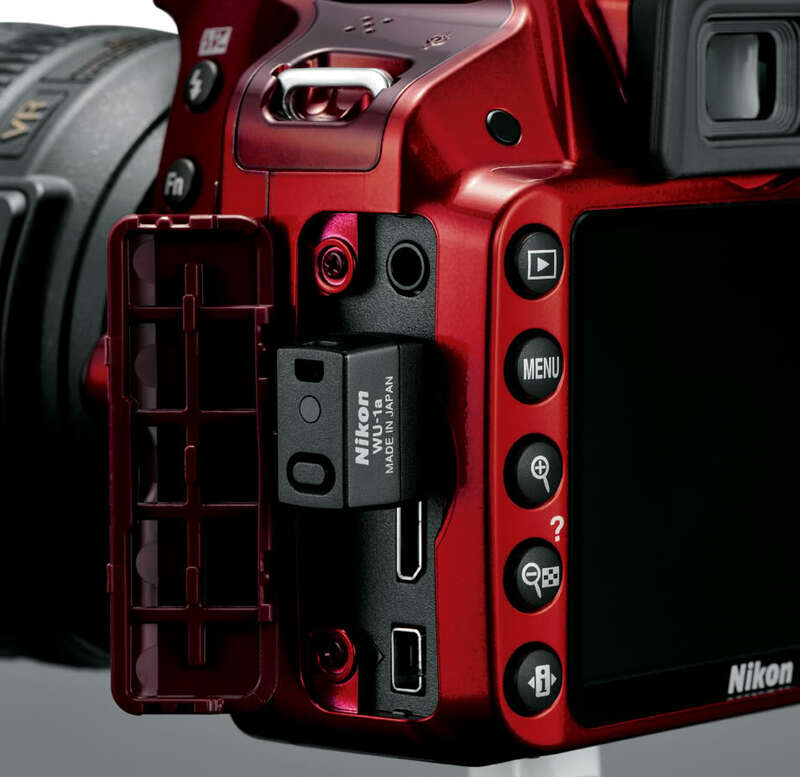 Nikon has announced the D3200 24MP entry-level DSLR that can be used with an optional WU-1a Wi-Fi module. The camera can now shoot up to 1080p30 video (rather than the D3100's 24p) and has a 920k dot LCD, up from 230k dots. Other than what we just listed and improved continuous shoot rate despite the pixel-count hike, the biggest change is the ability to add the Wi-Fi unit. The WU-1a will sell for a recommended sale price of $59.95 and will be able to broadcast to smartphones over a 49ft range. The D3200 is expected in late April at an MSRP of $699.95. The WU-1a will be available in late May and will initially support image upload and remote viewing/shutter release with a free app for Android phones (version 2.3 and newer). An iOS version of the app will follow later in the year. Details are vague but the app allows full-sized or VGA images to be transferred from the camera and that a live preview is available on the phone, but with only the ability to fire the trigger, not change camera settings. 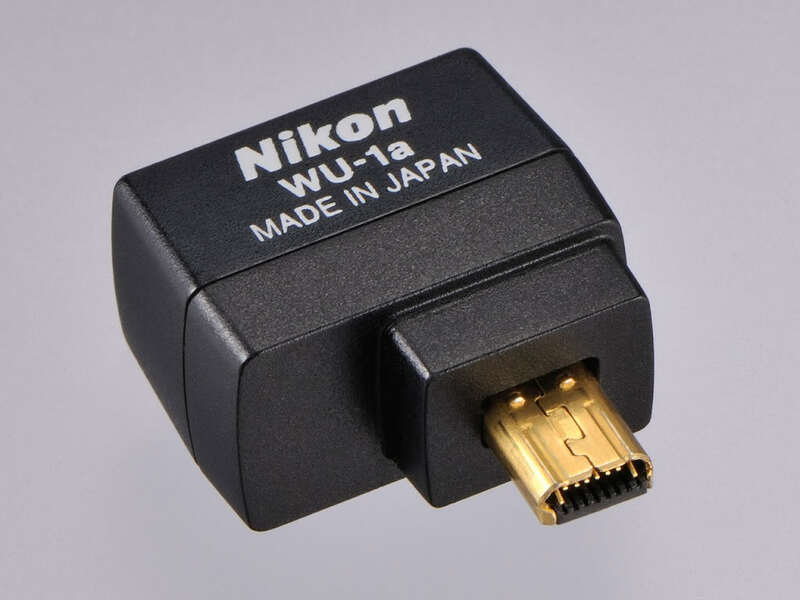 You can pre-order the WU-1a WIFI adapter from Amazon, B&H Photo or Adorama. 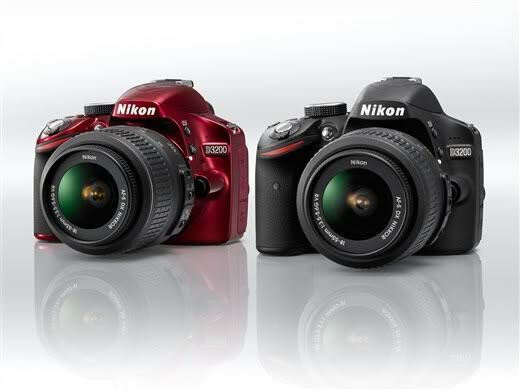 The Nikon D3200 outfit with the versatile AF-S DX NIKKOR 18-55mm f/3.5-5.6G VR image stabilization lens will be available in late April 2012 for a suggested retail price (SRP) of $699.95 in either Black or Red. The optional WU-1a Wireless Mobile Adapter, sold separately, will be available in late May 2012 for a suggested retail price (SRP) of $59.95. For more information on the Nikon D3200, NIKKOR lenses, additional Nikon D-SLR cameras and accessories, please visit www.nikonusa.com.